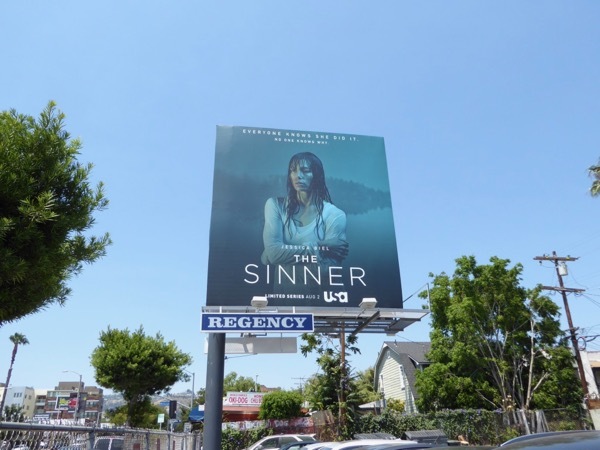 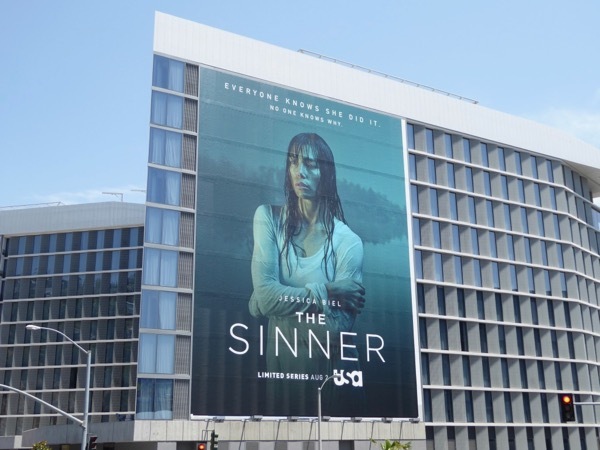 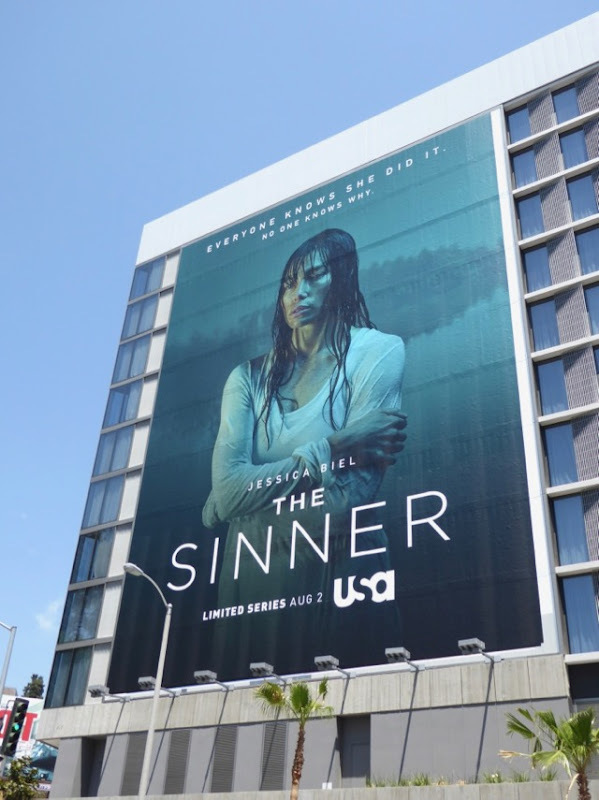 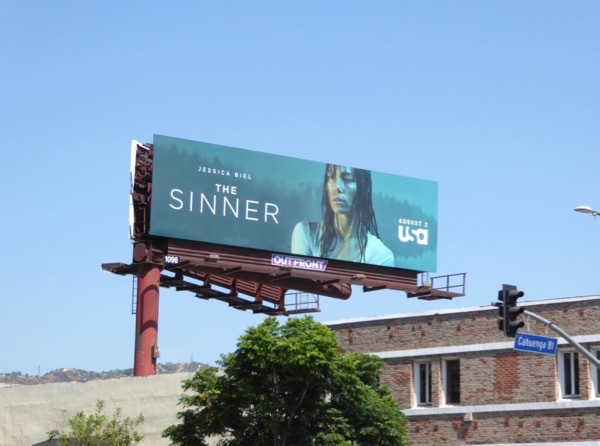 Daily Billboard feels cold and wet just looking these billboards for USA Network's new limited series, The Sinner (which is odd as temperatures are soaring in L.A.). 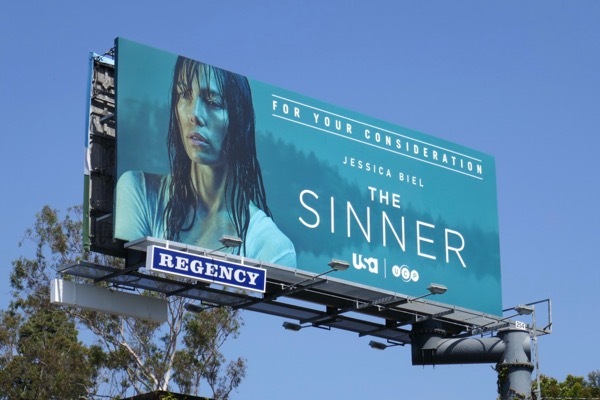 Jessica Biel returns to the small screen in the eight-part adaptation of Petra Hammesfahr's 2007 novel of the same name as 'Cora', a depressed young mother who brutally stabs a young man to death in broad daylight with her family and dozens of bystanders watching. 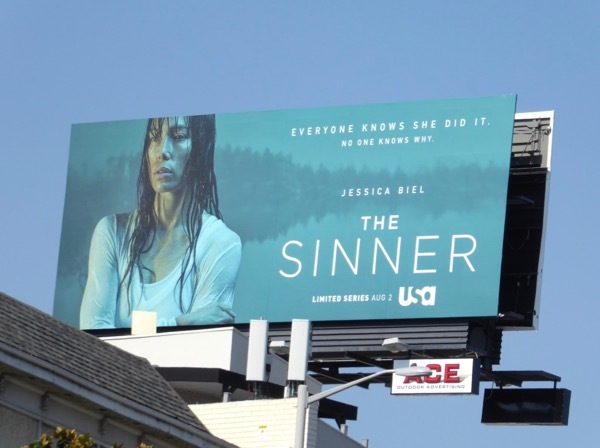 Both we and she are unsure why she did it, so rather than the usual murder mystery where we're looking for who did it, this time we're left to ponder the reasons why. 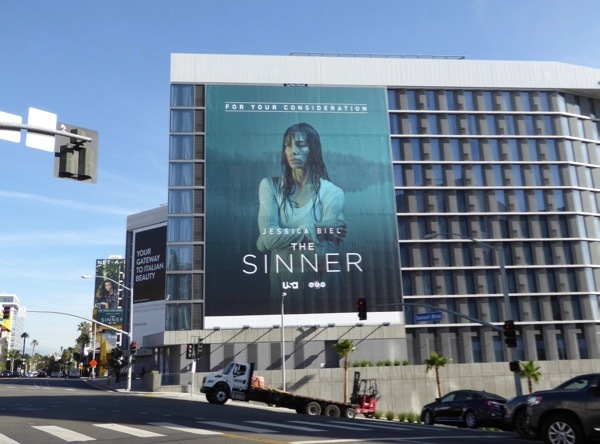 Intrigued by what should be a simple case, Bill Pullman's 'Detective Harry Ambrose' becomes obsessed with the investigation to find out what triggered Cora and what demons drove her to kill this man. Was it something about the victim, the pressure of being a wife and mother, some tragedy or abuse from her past, we'll just have to watch and see. 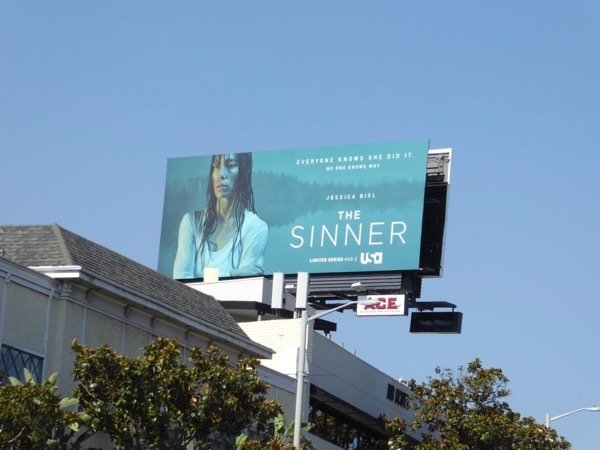 These arresting series launch billboards were photographed in multiple locations along Sunset Boulevard and along Fairfax Avenue from July 11 to July 17, 2017. 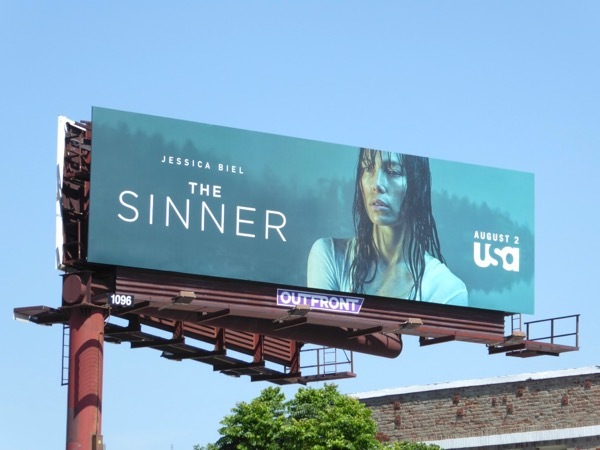 Fans of the actress married to Justin Timberlake can also check out these Total Recall movie remake billboards from 2012. 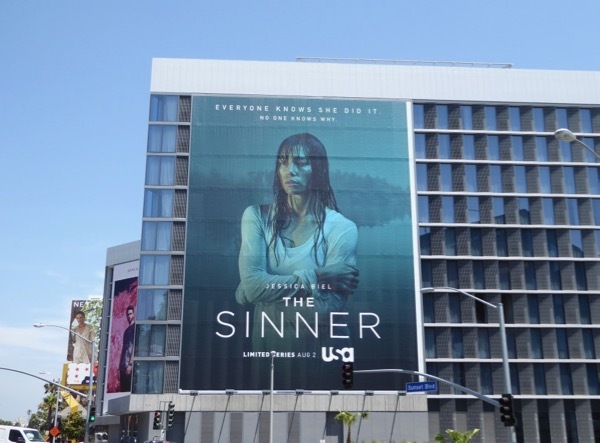 Only time will tell whether The Sinner be the summer crime thriller you've been looking for to keep you entertained whilst you wait for the onslaught of the fall TV season. 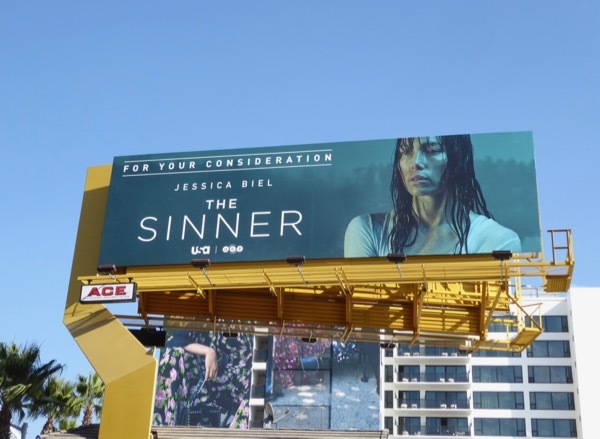 UPDATED: The Sinner was well received and now it's hoping to leverage that success into some Golden Globe and TV industry awards accolades with consideration billboards like this spied above the Sunset Strip on November 15, 2017. Plus here's also some additional super-sized consideration support snapped nearby along West Hollywood's busy Sunset Boulevard on November 28, 2017. 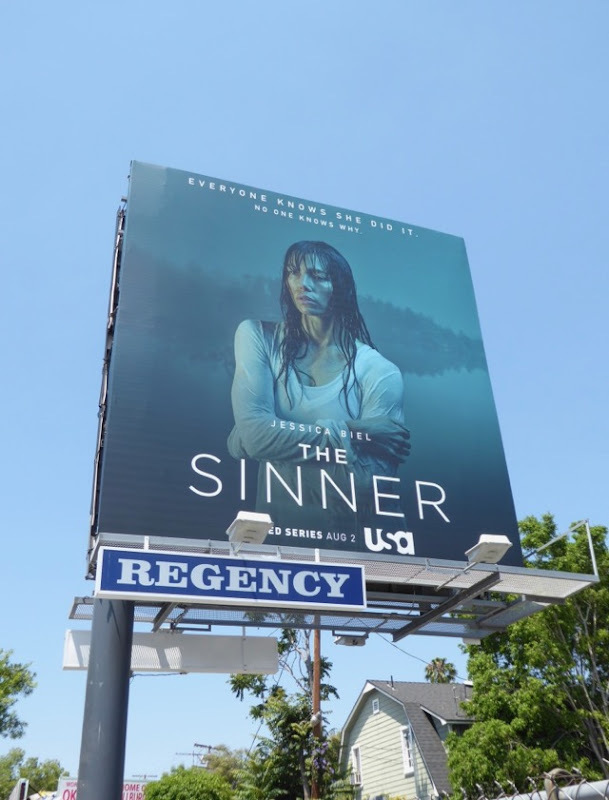 UPDATED: The Sinner may not have won either of its two Golden Globe nominations, but that's not stopping the limited series trying for Emmy success with an all-new consideration campaign. 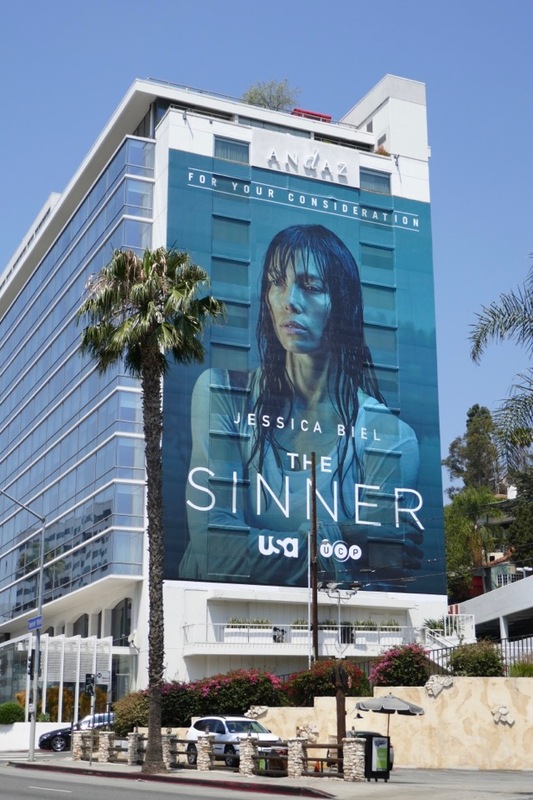 Here's another giant-sized FYC billboard on the side of West Hollywood's Andaz Hotel, and an example of several landscape Emmy billboards spied along Sunset Boulevard from June 1 to June 7, 2018.